He was also a Senator for Alabama, but that’s not why he is the subject of this post, after all we don’t hold politicians in very high regard here. 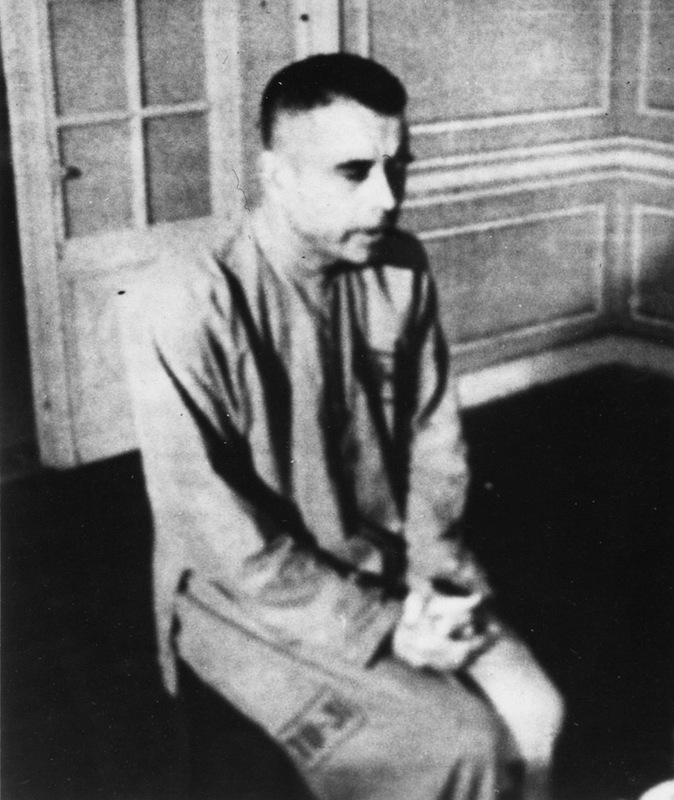 No, Jeremiah Denton is being remembered for his time in service in the Navy, and mostly because of the period he spent as a Prisoner Of War courtesy of the North Vietnamese. In all he spent almost eight years as a POW in North Vietnam (four of them in solitary confinement). He later wrote a book about his experiences, which in turn became a movie. At the time Denton was US Naval Aviator and was the Commanding Officer of Attack Squadron Seventy-Five aboard the aircraft carrier USS Independence. On 18 July 1965, while he and Lieutenant Bill Tschudy, his navigator/bombardier, were leading twenty-eight planes on a bombing mission, their jet was hit by enemy fire and the two men ejected over the city of Thanh Hoa in North Vietnam, where they were captured and taken prisoner by the North Vietnamese. Denton is best known for a 1966 televised press conference in which he was forced to participate as an American POW by his North Vietnamese captors. During the press conference Denton had the presence of mind to use the opportunity to send a coded message confirming for the first time to the U.S. Office of Naval Intelligence and Americans that American POWs were being tortured in North Vietnam. To send his message Denton repeatedly blinked his eyes in Morse code during the interview, spelling out the word, “T-O-R-T-U-R-E”. While a prisoner, he was promoted to the rank of Captain. Denton was later awarded the Navy Cross and several other decorations, mostly for heroism while a prisoner of war. These days loyalty and initiative are not as valued as they once were, or as they should be. Anyone who had such values during their lifetime is worth remembering. For those interested you can read more on Wikipedia or do a search on Google. One would imagine that cemeteries would be rather sad and sullen places, and at the time of a bereavement I suppose they are for the relatives concerned. But with the passage of time or if you aren’t personally involved they can also be places of great historical interest. And they can be places where one can find a great deal of humor. Nowadays people seem to be less and less emotionally prepared and equipped to handle and understand death. In the past this was not the case. 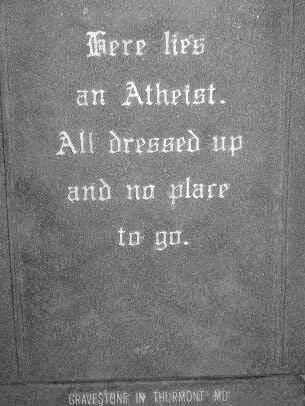 If proof of the latter were needed all one has to do is to look at the inscriptions on some of the headstones found in old cemeteries. 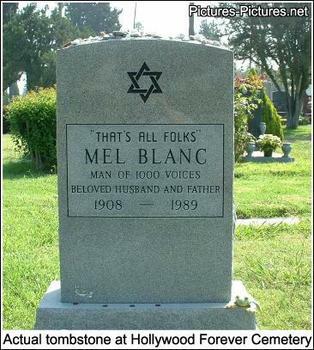 And lived to the age of 99. Here lies the father of 29. But he didn’t have time. Here lies the body of poor Aunt Charlotte. A damn’d long time for this vicinity. She should have waited till it effervesced. 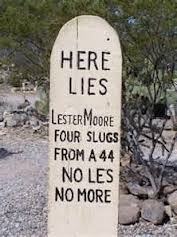 Lester Moore was a Wells, Fargo Co. station agent for Naco, Arizona in the cowboy days of the 1880’s.